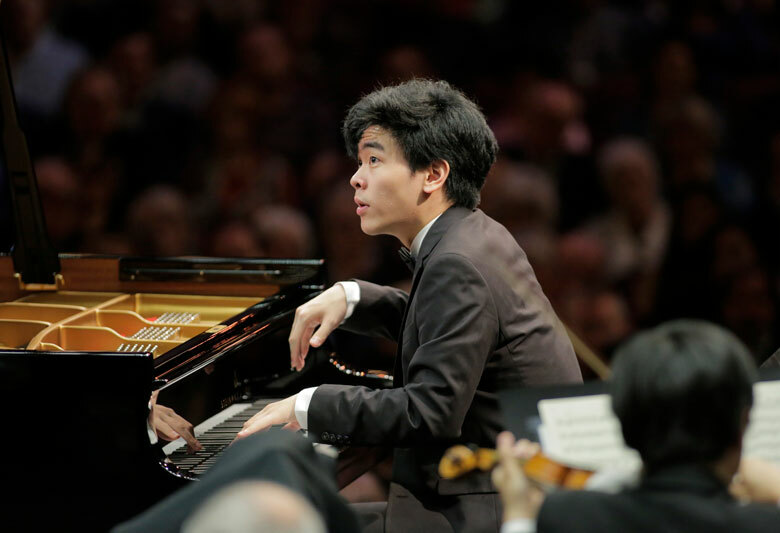 Characterized by the Philadelphia Inquirer as a “poet…[with] an expressive edge to his playing that charms, questions, and coaxes,”20-year-old American pianist Daniel Hsu captured the bronze medal and prizes for best performance of both the commissioned work and chamber music at the Fifteenth Van Cliburn International Piano Competition in June 2017. Also a 2016 Gilmore Young Artist, first prize winner of the 2015 CAG Victor Elmaleh Competition, and bronze medalist of the 2015 Hamamatsu International Piano Competition, he is increasingly recognized for his easy virtuosity and bold musicianship. A native of the San Francisco Bay Area, Daniel Hsu began his studies at age 6 with Larisa Kagan. He made his concerto debut with the Fremont Symphony Orchestra at age 8, and his recital debut at the Steinway Society of the Bay Area at age 9, before being accepted into Curtis at the age of 10, along with his two older siblings. He is currently the Richard A. Doran Fellow at the Curtis Institute of Music, where he has studied with Gary Graffman, Robert McDonald, and Eleanor Sokoloff. Classical brilliance and perfection!